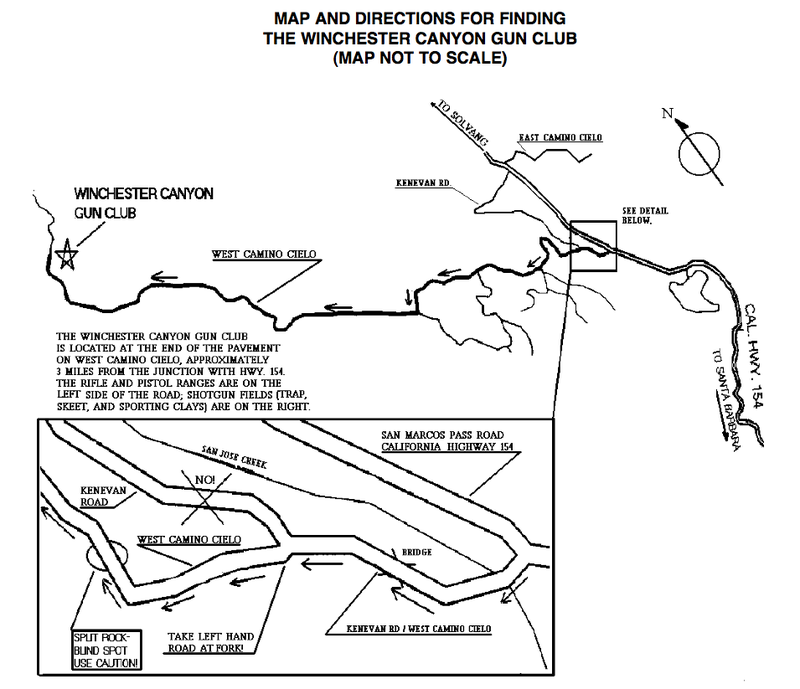 The gun club is located just before the end of the paved road. Go south (east) on 154 to West Camino Cielo (approx. 25.5 miles).